It's beginning to look a lot like Christmas...! Every year, I love sharing with y'all one of my favorite holiday traditions- the Christmas card. It makes me so happy to run to the mailbox every day during the Christmas season and find a beautiful card highlighting our friends and family. I actually go so far as to save every card we receive and make a book for each year- just punch a hole in the corner of each card and string a ribbon through. Voila! A Christmas card book for each year. This year, we ordered our cards again from Minted. I'll share the final result once we get them back from the printer, but above are some of my favorite options Minted has available this year. I also love their new ornament shaped cards. These are sure to stand out from the crowd of standard rectangle Christmas cards! 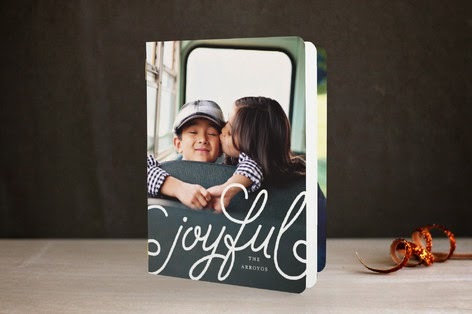 Minted also has a new holiday card booklet for 2014. Such a cute idea to share with your family and friends not only photos of your family, but stories and information about your year. It's sort of the revived "family update letter" that we grew up with. Love it. 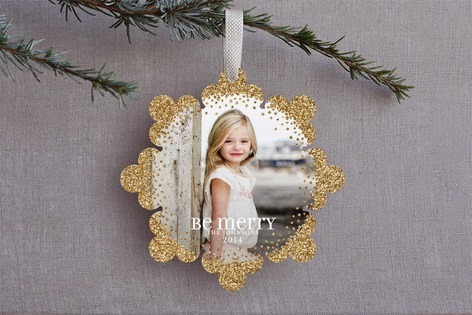 You can check out all of Minted's Christmas cards right here. 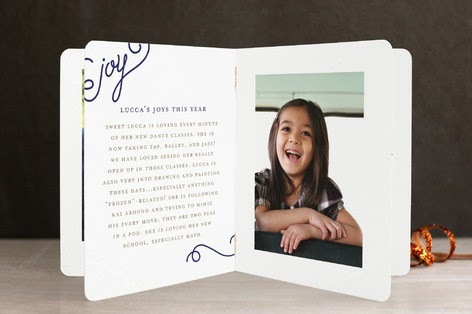 This year, Minted is offering free recipient addressing, which is pretty much amazing. Type your addresses in and they do all the work for you! Through the end of today, you can save 15% on your cards with the code: HAPPYHOL15. 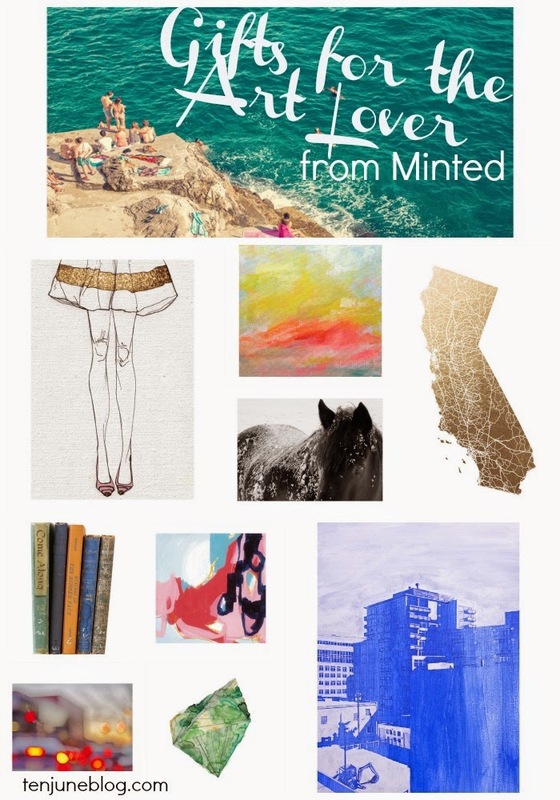 Be on the lookout later this week, as Minted will have some awesome Black Friday/Cyber Monday sales available! As if these adorable Christmas cards aren't enough, Minted also has upped their game when it comes to art prints. They've got an amazing selection of limited edition prints that you can check out here. I can't even tell you how many hours I have spent looking through their pieces. I love sooo many! Not only are these beautiful, but there are some affordable prices, too. And Minted offer framing options! I think the art lover on your Christmas list would be more than happy with any of these pieces, don't you? I'm hoping a couple of these abstract pieces end up under the tree for me. Have you ordered your Christmas cards yet?! For a blast to the past or a little Christmas card inspiration, check out our illustrated 2013 Minted Christmas card, our 2012 Christmas card (hint: there was a naked baby involved!) and our 2011 Christmas post card. 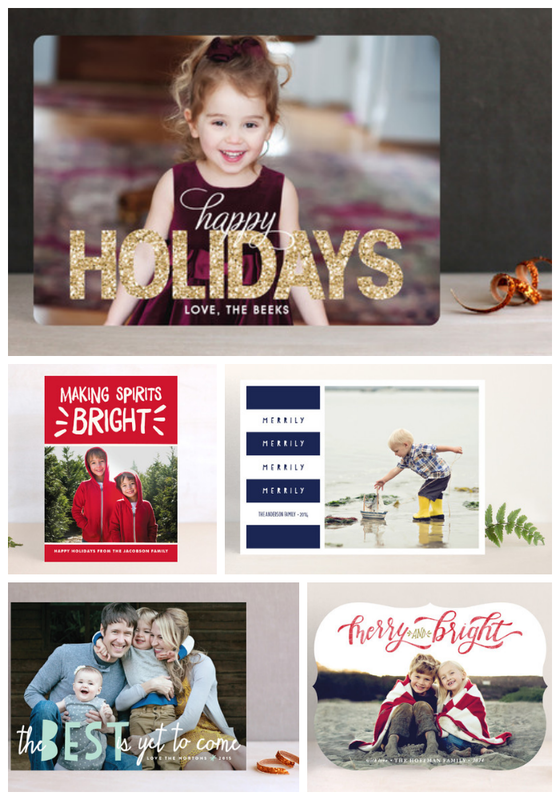 Thanks to Minted for partnering up with me to share their 2014 holiday collections!